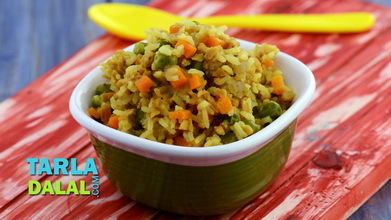 Tava pulao, another quick treat off the pav bhaji cart! 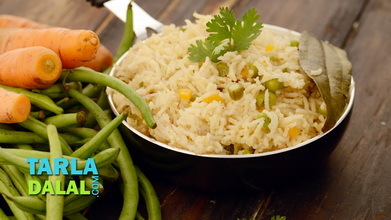 this delicious pulao is prepared in advance by the vendor, and shares a place on the pav bhaji tawa. It is swiftly portioned out onto serving plates when the orders flow in, to appease the severest of hunger shots. 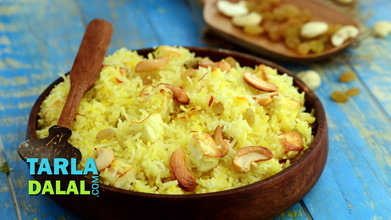 To make tava pulao, heat the butter on a large tava (griddle), add the cumin seeds. When the seeds crackle, add the chilli-garlic paste, mix well and sauté on a medium flame for 1 to 2 minutes. Add the capsicum, mix well and sauté on a medium flame for 2 more minutes. 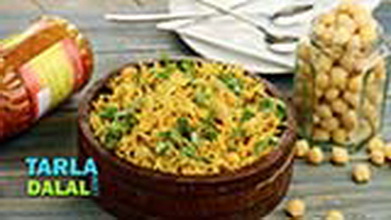 Add the tomatoes, mix well and again cook on a medium flame for 3 to 4 minutes, while stirring occasionally. 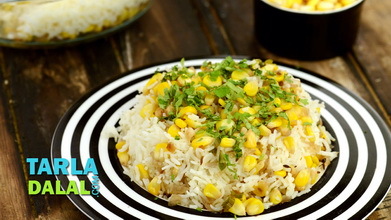 Preferably use a potato masher to mash the vegetables lightly. 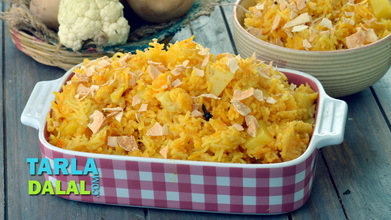 Add the turmeric powder, salt, chilli powder, pav bhaji masala and 1/4 cup of water, mix welland cook on a medium flame for 1 to 2 minutes, while stirring occasionally. 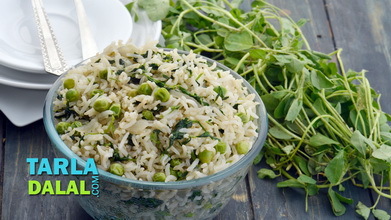 Add the rice and green peas, mix well and cook on a medium flame for 1 to 2 minutes, while stirring occasionally. 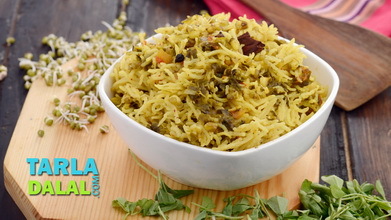 Serve the tava pulao immediately garnished with coriander.